We’ve taken a generous selection of our favourite Mediterranean ingredients and flavours and combined them in tonight’s stunning orzo dish. Green beans, vine-ripened tomatoes and creamy goat cheese make for an otherworldly pasta salad. 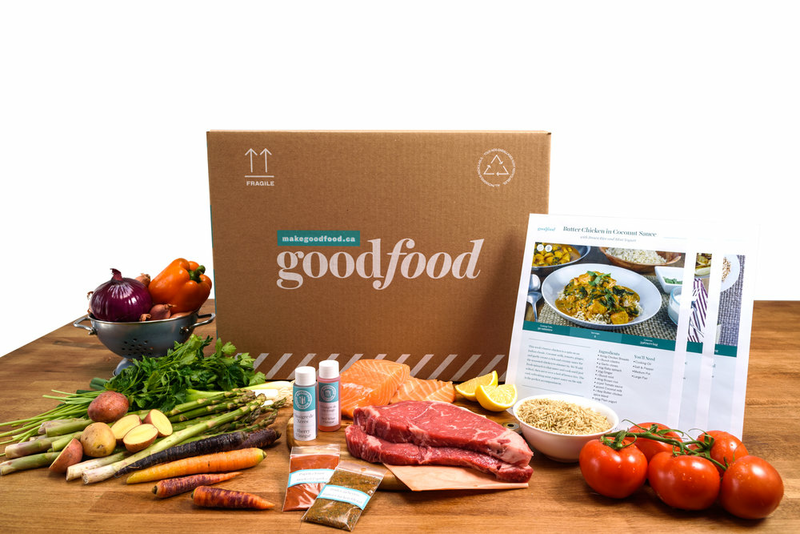 Served up with seared chicken thighs that have been seasoned with a roasted red pepper and garlic spice blend, this dish evokes the best of the region in one bowl! Bring a large pot of salted water to a boil. Add the orzo and cook, 10 to 14 minutes, until just tender. Drain thoroughly; drizzle with a bit of olive oil to prevent sticking and set aside. 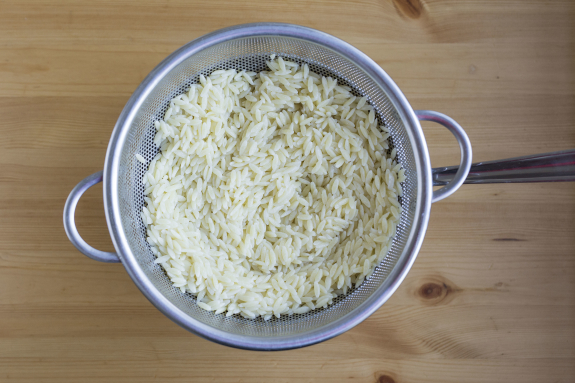 While the orzo cooks, in a medium pan, heat a drizzle of oil on medium-high. Pat the chicken* dry with paper towel; season with the spice blend and S&P. Cook, partially covered, 4 to 6 minutes per side or until cooked through. 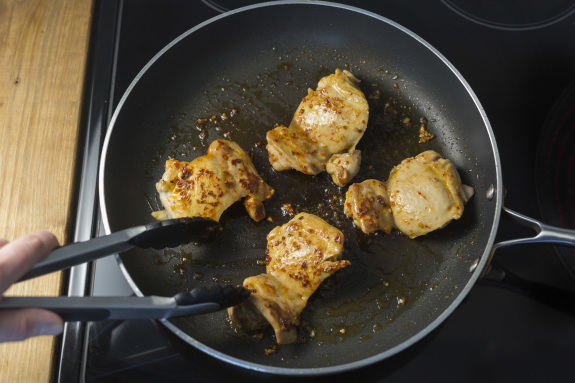 Transfer the chicken to a plate and set aside in a warm spot, leaving any browned bits (or fond) in the pan. Reserve the pan. While the chicken cooks, halve the green beans. Roughly chop the tomato. 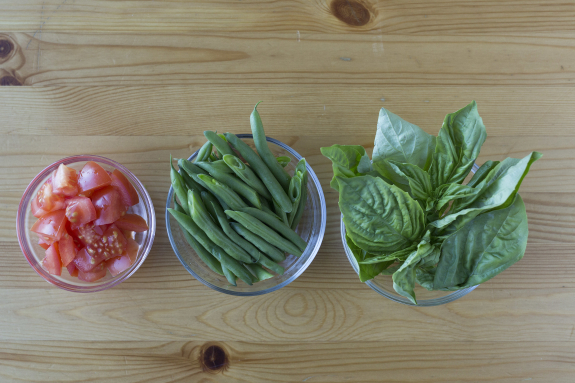 Pick the basil leaves off the stems. In the reserved pan, heat a drizzle of oil. Add the onions and garlic; cook, 1 to 2 minutes, until translucent. 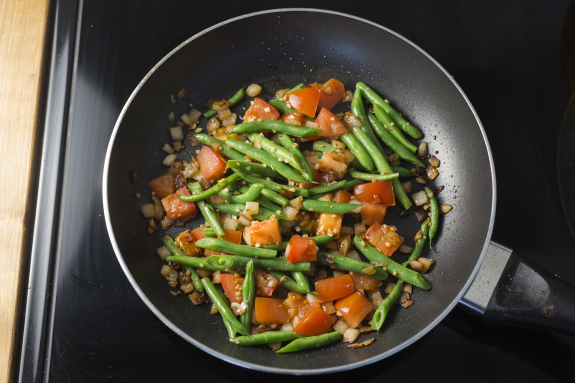 Add the green beans and tomatoes and cook, 2 to 3 minutes, until crisp-tender. Season with S&P. In a bowl, combine the mustard, vinegar and 3 tbsp of olive oil (double for 4 portions); season with S&P. To the pan of vegetables, add the orzo and goat cheese. Drizzle with as much of the vinaigrette as you’d like; season with S&P to taste. 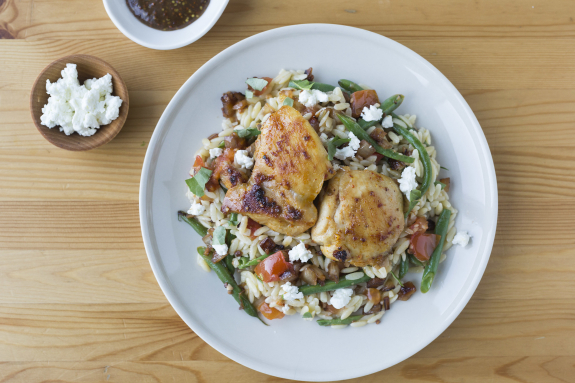 Divide the chicken and orzo between your plates. Garnish with the basil leaves (tearing before adding). Bon appétit!